Softwares Solutions How to make a perfect .gif image. Video to Gif converter. How to make a perfect .gif image. Video to Gif converter. At first glance it looks like a 320*240 recorded video but how to get sure. It's a recorded video but its not a video file. Finding the answer is quite simple. Just right click on the object and checkout the options provided by your browser in that menu. Probably you will see an option "save image as". So its a gif format image. But has much more frames than normally we have in our birthday wishing or other greeting images sent by friends. So definately consume more memory. this 320*240 is of 2.40 MB rather than 24 KB. Because it has 85 frames in it. These frames (know more about frames and fps) are picked from recorded video and settled in a gif image format. Then display time is fixed for every frame. 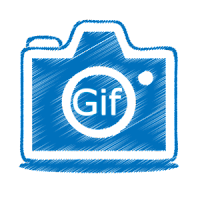 To view a gif image your gadget should support gif image format. Otherwise you will see only the first frame of every gif image. Now for android mobiles a simple gif image creator application is available. Which directly convert mobile camera recorded video into a gif image. This app is available at google play store in both free and trial verson. You can download this from here.